Lodge 34 at Cenarth, sleeps 4.
relaxing retreat away from the hub of city life. Just a few miles drive from Cardigan town and within half an hour from some of the most spectacular beaches on the Cardigan Bay coast, including Aberporth, Llangrannog, Poppit Sands and Mwnt. Accommodation: The lodge offers a comfortable sitting/dining area with comfy leather sofas and a TV. There is a double glazed door leading to the rear decking. A well equipped galley kitchen with electric cooker, microwave and the usual electric appliances. There is a shower room with sink and toilet. Bedroom one has a four foot double and sleeps two comfortably and has a wardrobe and chest of drawers. Bedroom two has two single beds and a wardrobe. A travel cot can be provided - cot linen not included. Bed linen is included but towels must be provided by guests. One well behaved small to medium dog welcomed - no extra charge. Electricity is by a one pound coin meter. Penlan Holiday Village is a quiet family oriented resort nestling in several acres of woodland. The parks facilities include an outdoor heated swimming pool (seasonal) and sun terrace, restaurant and bar, play area and a dog walk. Penlan also has a small shop and a laundry. 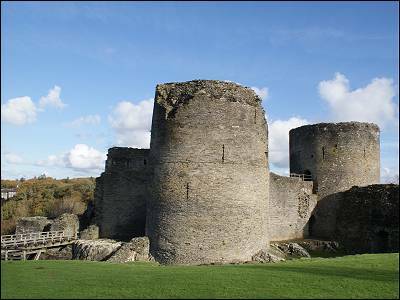 The park is a short drive or bike ride to the pretty village of Cenarth with its spectacular falls and riverside walk. Salmon fishing permits can be purchased at the local post office during the fishing season. In the other direction again a short journey is the famous Nags Head pub with a great menu and a tradition in micro brewing. The organic cheese makers Caws Cenarth are nearby and you can pop into this small farm and watch the cheese being made. 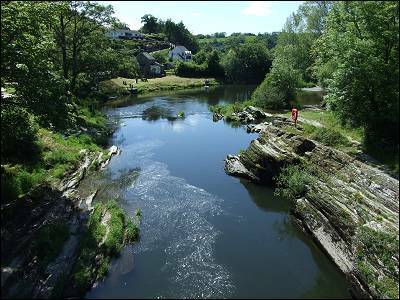 The Local Area - Cenarth is a charming little community straddling the river Teifi between Cardigan and Newcastle Emlyn. 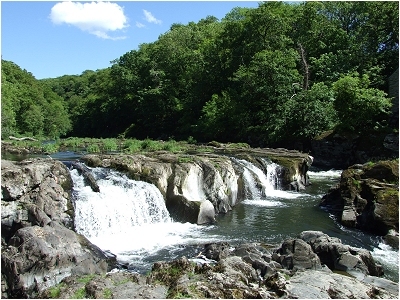 Here, the River Teifi has made its way through the hard rocks to produce a spectacular series of waterfalls. 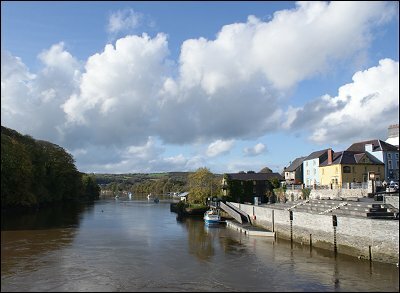 The Teifi has always been famous for its Salmon, and it is recorded that over one hundred Salmon have been taken in a single morning as they attempted to leap the falls on their way up river to spawn. There are more photos of Cenarth here.